Applications are invited for the Skål International Sustainable Tourism Awards 2019. These awards are geared towards enhancing the visibility and grant recognition to entities from the tourism industry. Based on the declaration of the United Nations in 2002 as the “Year of Ecotourism and the Mountains”, Skål International launched its own “Sustainable Tourism Awards” the same year, to spotlight best practices globally. As a leading, international organisation in the tourism industry, Skål International has proven to be a strong force for the initiation of change and the encouragement of environmental conservation for both travel and tourism progress. This year Skål International has partnership with Biosphere Tourism and the Responsible Tourism Institute, to give the “Special Skål Biosphere Award” that will be presented to one of the submissions received. The winner will be selected based on the pillars of sustainability of the Responsible Tourism Institute. Biosphere Tourism will present the winner with a one-year free Biosphere Certification in one of their available categories (except Tourism Destinations and special cases). During the process of filling out the form, you will be required to attach a letter of endorsement that can be issued by a Skål club or a local tourism authority, government tourism agency or tourism organisation. 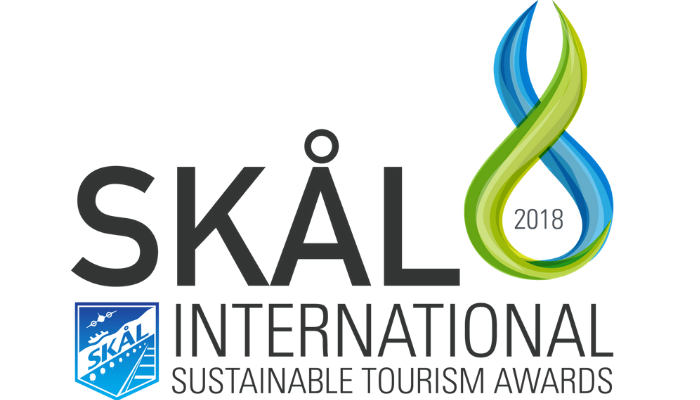 For more information, visit Skål International Sustainable Tourism Awards.